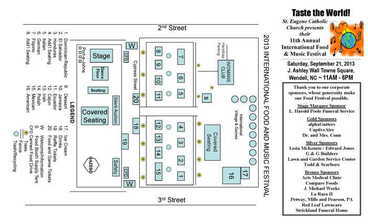 The International Food and Music Festival attracts between 2,500 – 3,000 attendees. It is one of the premiere family-friendly events in eastern Wake County. Your investment in Festival sponsorship, at any level, will no doubt reinforce your image as a committed eastern Wake County community member and highlight your business to local consumers. 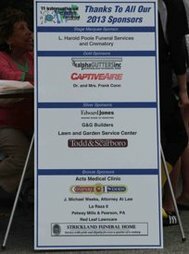 Sponsors are featured in our multi-media marketing and promotional plan, including the festival website, social media, brochures and banners, as well as public recognition at the festival. Click here for the 2018 sponsorship solicitation letter and form.